Crave talks the talk about fresh but getting what I wanted required some rearranging of menu items, and an extra charge. 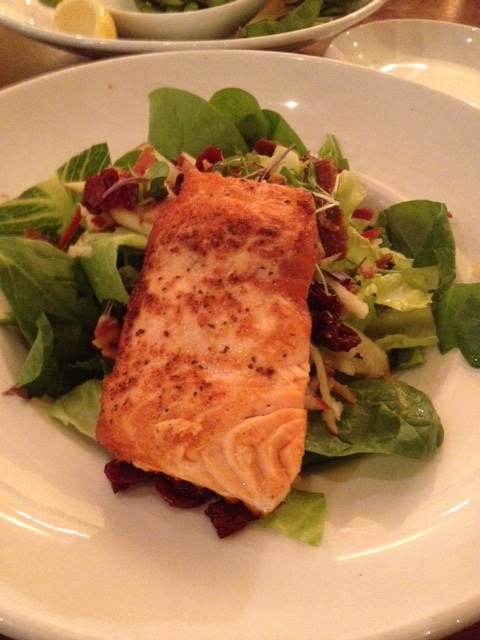 I had hoped to get a salmon salad much like one I recently made at home. A salmon salad is on the menu but I discovered it comes without lettuce or field greens, only with some spinach. So I asked the waitress if I could get a salad with field greens and salmon. She said that would be possible. We would substitute salmon for chicken on another listed salad, with a slight up-charge. I agreed, and also requested no dressing since I didn’t see any low-salt options. I always carry my own oil and vinegar packets when traveling and so used those here. The salmon was quite good as was the edamame appetizer we ordered without the sauce listed on the menu. We asked for the sauce on the side and my wife enjoyed dipping her edamame in it. I tried it and found it too spicy for my taste. The up-charge for the salmon turned out to be $6 which seemed a bit high but I chalk it up to the price of eating as I must on my restricted diet. My modified salad with salmon at Crave, perhaps a bit overpriced. 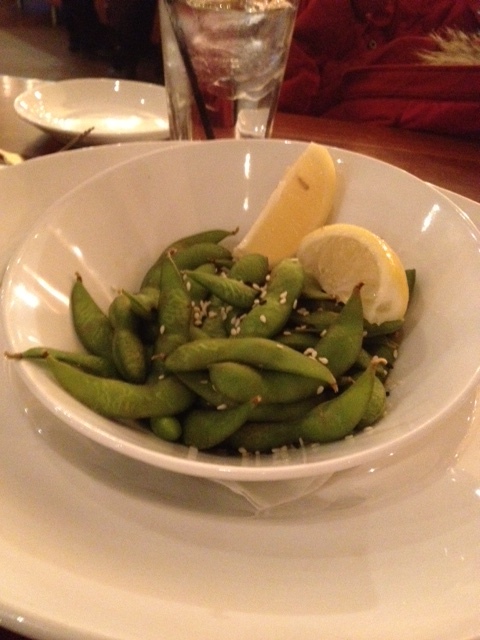 Our edamame at Crave was a nice appetizer. 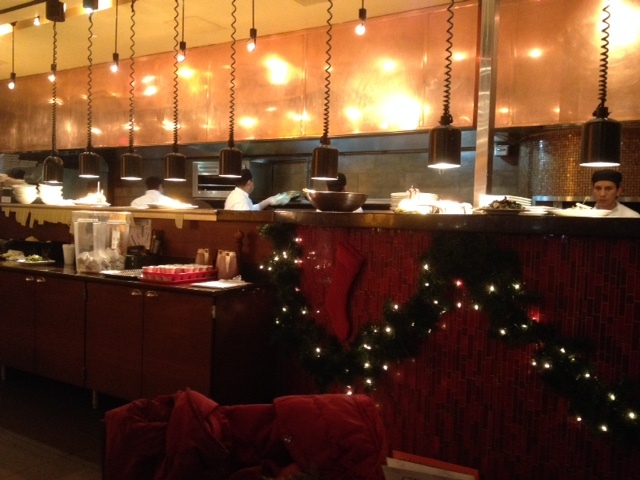 One other note, we sat by the open kitchen where I enjoyed watching the food being prepped. The vast majority of orders coming out were burgers,despite the numerous offerings on the large menu, a sign that eating healthy wasn’t likely on anyone’s mind there but mine.